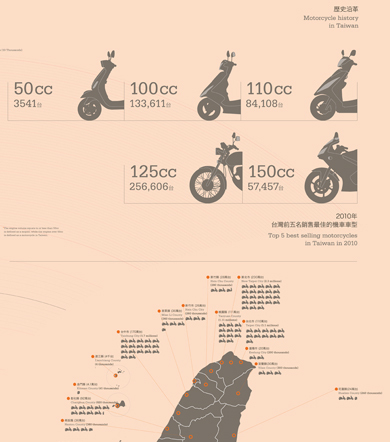 The ratio of motorcycles in Taiwan to the whole country population was the highest among all of the asian countries. 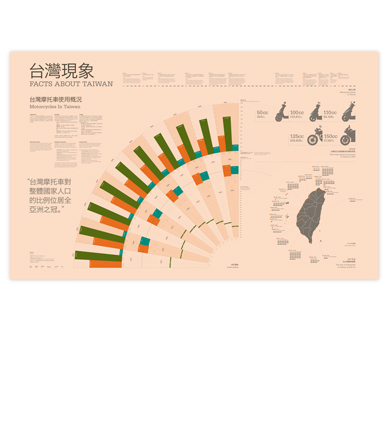 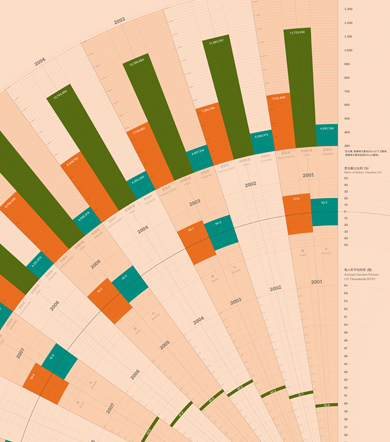 This design has utilized information about the motorcycle in Taiwan, the history of motorcycle in Taiwan, male/female riders' ratio, and personal income over past decade. 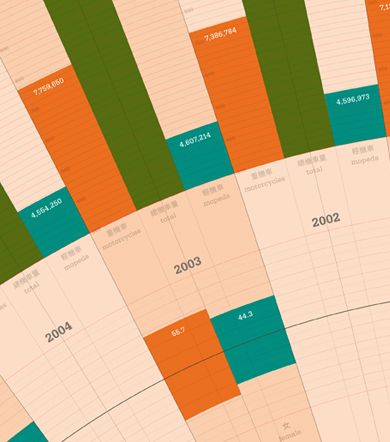 The design was exhibited in the Taiwan Designers' Week 2011.